Chrome extension is such small software programs that will adjust and improve the functions of Google chrome. You can download these extensions both for free or paying from the Google Chrome web store. 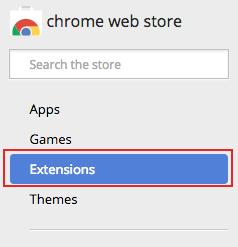 This article will guide you to find extensions via the Chrome web store and installing it to your chrome browser. 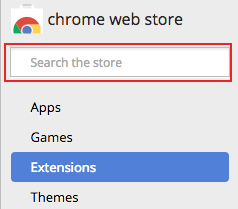 Follow these steps to search Chrome extensions on Chrome web store. Follow this link https://chrome.google.com/webstore to open the Chrome web store. 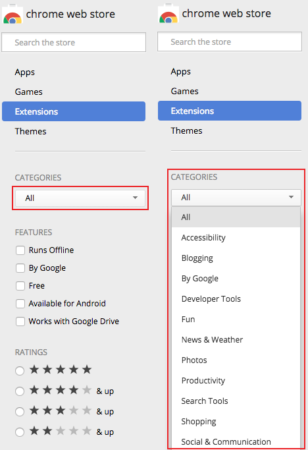 This is where you can find Google apps, extensions and themes for Chrome. Click on the “Extensions” located on the left side of the page. And you can find number of chrome extensions under this category. You can browse extensions in chrome from many categories. This will open a number of results for your search which might be confusing so adding a filter to the results can make your browsing easing which you can do either by category or by ratings whichever you prefer by selecting options of the left panel. Alternatively, you can save your time if you’re clear with what you are looking for. Just type in the chrome extension you’d like to add on in the search field in the upper left after clicking on “Extensions” and your required extension is displayed. Click on the extension you’d like to add to chrome. Click on the blue “Add to chrome” button in the upper right corner. Chrome will ask you again if you’d want to install the extension. Click on “Add Extension” button again to confirm. Now, the chrome extension you’ve installed will appear besides the three horizontal bars icon at the top right in the toolbar of your Google chrome. You can simply click on this icon of your chrome extension to open it.